Structurally, the book is a mixture of genre novel and extreme metanarrative. Put more simply, it is a book about reading books. It opens with the aforementioned lines, “You are about to begin reading Italo Calvino’s new novel, If On a Winter’s Night a Traveler. Relax. Concentrate. Dispel every other thought. Let the world around you fade.” When you first read this, you might think that you have stumbled onto a Translator’s Introduction. Yet there is something uncomfortably intimate about the speaker’s tone. It is only after flipping forward a few pages that you realize the book has begun, and that its protagonist is YOU, the reader! Its primary storyline unfolds from a second-person perspective, thus implicating “you” in the plot the way you might find in one of those old “Choose Your Own Adventure” novels. As you continue to read, you discover that a publishing error has ruined your copy of Calvino’s book, and replaced it with the opening chapter of another novel, Outside the Town of Malbork by a fictional author named Tazio Bazakbal. As a reader, you grow irritated, but now that you have become invested in Bazakbal’s story, you no longer care about Calvino and his missing novel. It is now Bazakbal’s book that you want to continue reading, and you set off on a quest to find a full, intact copy of it. It is very difficult to describe Calvino’s book without making the thing sound insufferably erudite and heavy-handed. But I truly believe that the book's primary effect is to remind us of how much pleasure we gain from reading. Calvino treats narrative pleasure like a muscle that exists inside each of us, and then uses his truncated stories to prick that muscle over and over again, causing it to swell until we can’t bear to do anything but read on! For anyone who has ever aspired to write a novel, the book provides additional titillation by only offering the opening chapters of ten different novels, each one more engrossing than the last. What aspiring writer has never written a perfect opening sentence, paragraph, or page of a novel, only to give up once the initial promise and enthusiasm of writing has faded? 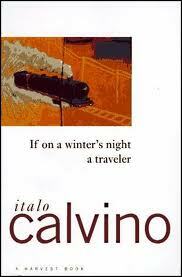 In If on a Winter’s Night, Italo Calvino traces a path through this impasse, and it is an incredibly pleasurable experience to follow him along it. In short, Calvino’s book is experimental and sometimes verbose to a fault, but not in the service of any patently intellectual concerns. 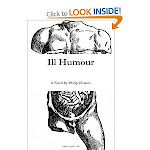 In fact, his book contains several passages that parody the eccentric academics who might try to impose thematic patterns onto books, thereby endangering the pleasure of being carried along blissfully by a well-told story. As a book about the pleasure of reading books, Calvino's succeeds wonderfully. You might not always enjoy the feeling of being cut off the moment you start enjoying a new novel, but the long-term payoff of this experience is well worth the read. To this end, If on a Winter’s Night a Traveler is a book to be enjoyed not only for its own sake, but for the enthusiasm that you will bring to all the stories you read after it.